Did you know that anywhere between 6 to 28% of the patients who are offered home health care post-hospitalization for a condition refuse the option and opt to ‘take care of themselves’ at home? This statistic is part of a report released by the United Hospital Fund and the Alliance for Home Health Quality and Innovation, titled ‘I can take care of myself’1. This is a common trend that also impacts home health care aides since this means that patients who can actually benefit from their services are unwilling to opt for them. In effect, this is neither good for the patient nor the home health care aide or agency. But as an agency owner or an independent aide, what can you do to convince a patient that they should hire your services? Remember that to convince them you have to overcome their skepticism that is enhanced by the knowledge that if they hire you, you make money. The only way to go about this is to address their concerns directly and put forth concrete benefits that THEY gain from hiring you. The report mentioned above talks about a study conducted by Dr. Bowles at two academic medical centers located in different cities. The subjects of her study were patients who had to be re-admitted after a 30 day or 60-day period after having received acute care treatment at the centers. The patients had been offered home health services post their treatment at the center. Interestingly, Dr. Bowles found that 28% of the 495 patients refused this offer. However, those who refused were also twice as likely to need readmission into the medical center within a 30 or 60 day period, than those who were under home health care. This is the most pertinent, most convincing point that you can make to reluctant patients or their family members to show them how home health care can deliver benefits that are really substantial. Keep in mind that hospitalization costs can be enormous and the cost of health care is only increasing year after year. By opting for home health care, a patient reduces the chances that he will need to be hospitalized again, in effect, reducing a huge financial risk, in the process. A second very convincing point is that home health care allows the person to get the required care from a competent, trained person without having to leave the comfort, the familiarity of their own home. Many times, patients are eager to leave the hospital even before they are fully recovered just because they miss their home and the strange hospital environment is disconcerting. Physicians may allow a patient to go home a little earlier if they have a qualified home health care attendant taking care of them there. If you are talking to a client who has an elder or a dependent in a hospital, undergoing treatment that has extended a long time, then this could be a very good argument that will help them see the benefits of hiring you or an aide from your agency. 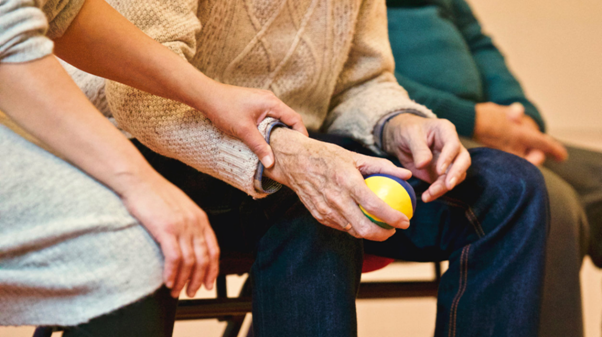 The caretaker of the patient is bound to have some worries about how they will handle them, how they will manage the care if they this is the first time they are having to take the responsibility of caring for an ailing person by themselves. This gives you another good point to make in favor of hiring home health aides because of the training and knowledge that you have and that can make caring for the patient more effective when it is left to you. You can explain to the client how a trained aide may be able to carry out the regular tasks like wound care, for example, with the least discomfort to the patient. Even tasks like bathing a fairly immobile patient or transferring from bed to wheelchair or changing clothes can be done by a trained aide far more quickly and with the least inconvenience to the patient as opposed to the same being carried out by an inexperienced family member. In many cases, potential clients come to you with only a vague idea of what home health care aides can do for them. They may be still be mulling over other options too, such as assisted living or a nursing home and it is up to you to give them a factual, clear picture of what each offer. If you need help explaining it to them, a quick look at this page should help you get your ideas in order before you talk to them. Wrap: Many clients may come to you without a clear picture of how helpful a home health care aide can be to them and their patient. Sometimes, they are just here because their doctor suggested that they could consider hiring an aide to make caring for the patient easier. It is up to you to explain the many benefits that a home health aide can offer so that the client can make a decision that is good for you and their patient.